Wild swimming !! Ah yeah ! I love Wild swimming !! And the wilder the better , it keeps you fit, focused and in deep with nature. Here in the Scottish Borders we have Lochs and reservoirs in abundance !! …… Lately after my big loch swims a few interested people have been asking how it started and where do you do it. So just how did I get into it ? ……….. 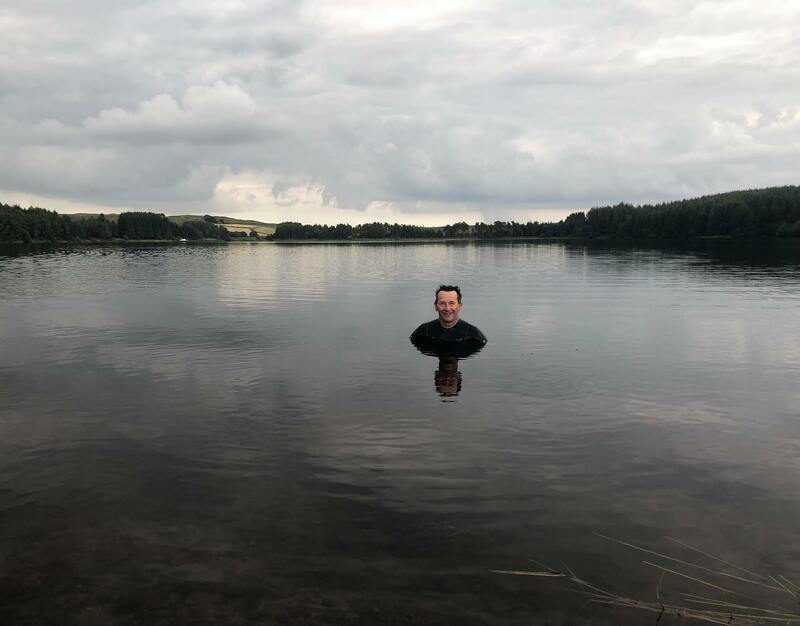 I was first introduced to Loch swimming by my friend and first class outdoor sportsman Kenny Short. 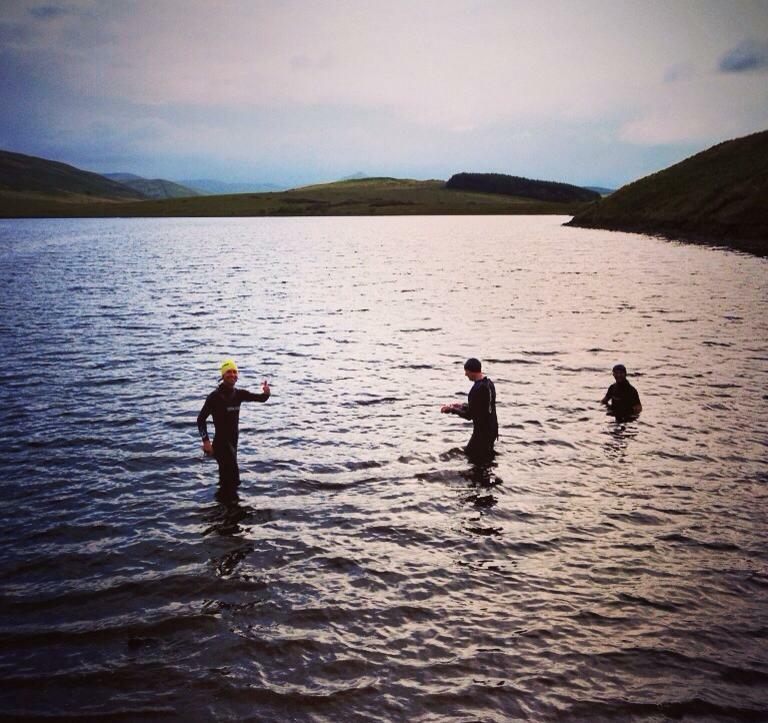 He had been loch training for his triathlons and my Uncle Mick had also been getting involved . Mick is part fish, he has a natural speed that none of us can live with, he’s the fish-boy, no lie! Of late Bongo had been joining him longside Deeeksy, Steven Brady,Titch and Andrew Shanky .. Kennys crew of crew triathletes is growing. They took me to the Barnes Loch near Stobs military camp and I did a lap or two with them. It was fantastic !!! I was always a decent swimmer , using it on and off for training purposes over the years, mainly for flexibility and stretching to help both the climbing and kayaking that I so loved. I took to it like a duck to water .. quack quack! 😀 the love was real ! After a short season in the Barnes I started to hunger for more ! I persuaded “mad dog” Mick Lyons to join me on a recce of Alemoor, a local loch much larger than the Barnes. We jumped on our bikes and cycled out … In we went , it was windy but good to go .. the water was fresh, clear and deep. We swam the 2.5 km out and back to the dam. It was amazing to be floating in the middle of such a large expanse of water, and we were having a full on buzz! The swim home was hard work with tall surface waves and current , we battled on though, attacking the waves and soon we were on the bank tired but laughing our heads off at our difficult battle home.That was it , the Barnes was relegated and Alemoor was our summer home. Soon after this we were hitting the long swims of St Marys and the Tweedsmuir classics, even entering the Coniston Chillswim , an amazing swim taking you on a journey to the Islands of Swallows and Amazons and beyond .. see here ..
Alemoor is now our regular summer training loch and my completion of the Borders big boys Talla, Fruid , Megget and St Marys is on the back of this amazing spot … get your wetsuit , and get yourself in …….. also check out Loch Skeen for a bit of adventure if your game …. 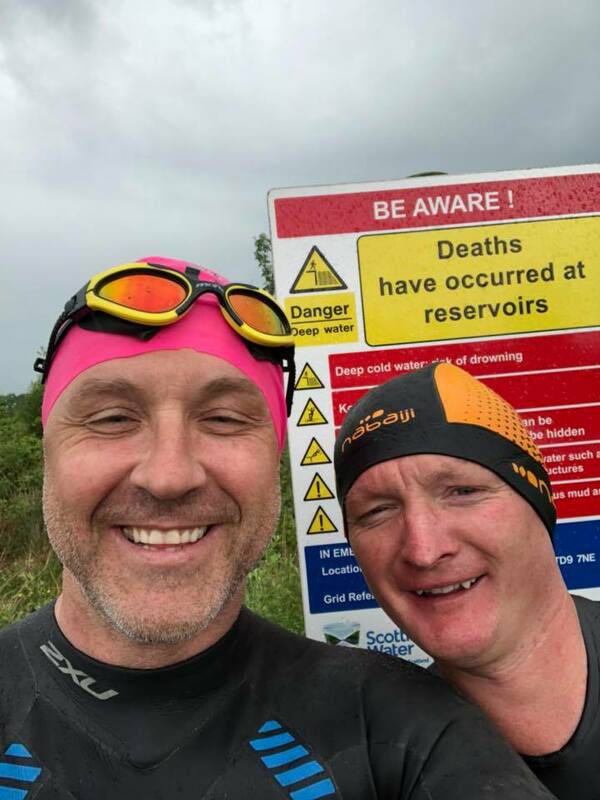 Note: Learn your craft , understand water , reservoirs and your own limits … Everyone knows how to swim but now you must learn to wild swim 🙂 Stay safe ! Good times with the fellas ! 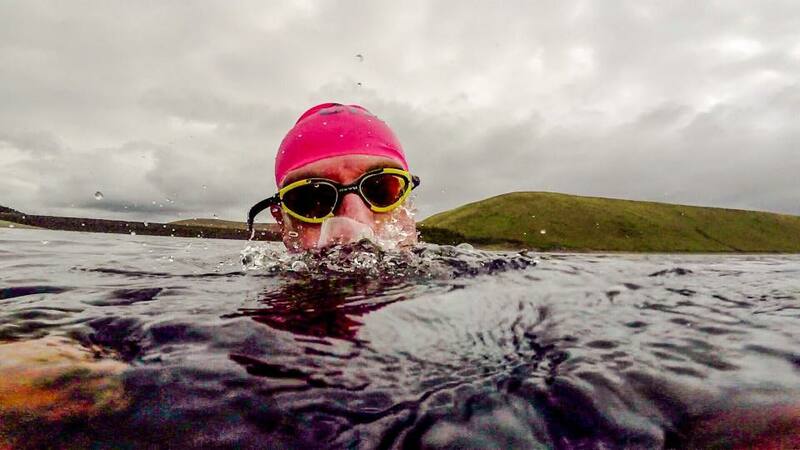 This entry was posted in Wild swimming. Bookmark the permalink.